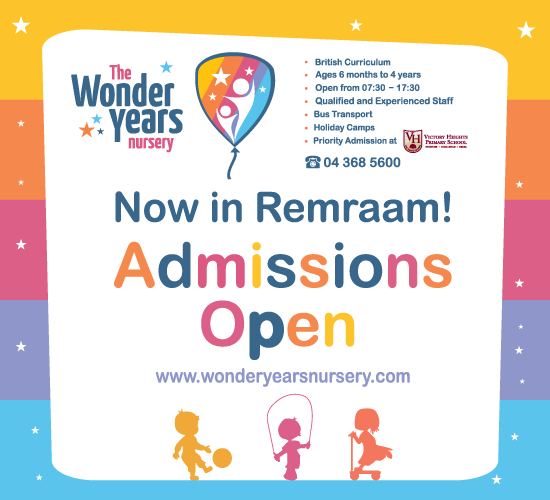 Why the Wonder Years Nursery? If you are interested in a place for your child at The Wonder Years Nursery, please be aware of the enrollment procedure that you need to follow. 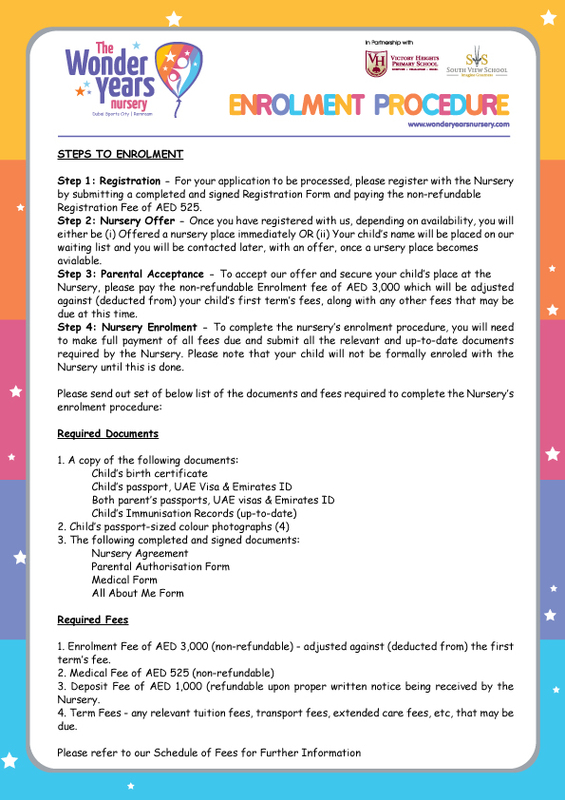 Step 1: Registration – Please register with the nursery so that the application can be processed. To register, you will need to submit a completed and signed Registration Form and pay the non-refundable Registration Fee of AED 525 (VAT inclusive). Step 3: Parental Acceptance – To accept our offer and secure your child’s nursery place, you will need to pay the non-refundable Enrolment Fee (adjusted against your child’s first term’s fees) and any other fees that may be due at the time. Step 4: Nursery Enrolment – To complete the nursery’s enrolment procedure, you will need to make full payment of all fees due and submit all relevant and up-to-date documents required by the nursery. Please note that your child will not be formally enrolled in the nursery until this is done. 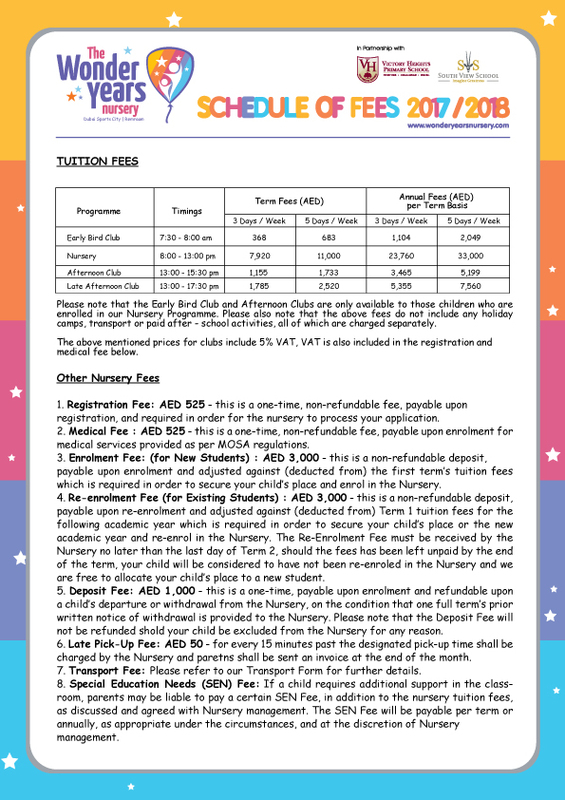 Please find set out below a list of the documents and fees required to complete the nursery’s enrolment procedure.